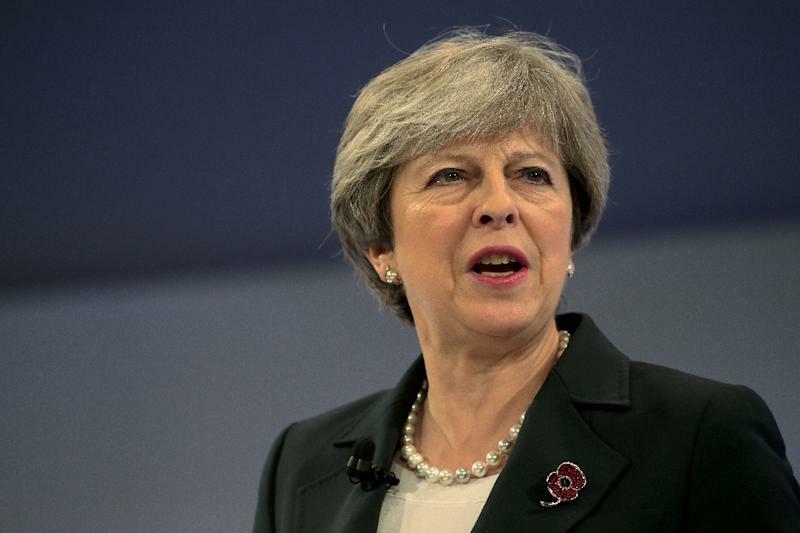 London (AFP) - British Prime Minister Theresa May warned pro-EU MPs that she "will not tolerate" efforts to block Brexit through parliamentary manoeuvres, in a column in Friday's Daily Telegraph. As Brexit talks resumed in Brussels, May sought to reimpose her authority over potential rebels following a chaotic week in which she lost two ministers in separate scandals. Crucial legislation to put existing EU regulations on the domestic statute book in a bid to avoid legal chaos after Brexit is currently working its way through parliament, with many amendments already lodged. "The EU Withdrawal Bill is the single most significant piece of legislation in this parliament because it is fundamental to delivering a smooth and orderly Brexit," wrote May. "Where MPs think they can improve the Bill, this government will listen to them. "But we will not tolerate attempts from any quarter to use the process of amendments to this bill as a mechanism to try to block the democratic wishes of the British people by attempting to slow down or stop our departure from the European Union," she added. Meanwhile, the former British ambassador to the European Union who helped author Article 50, the EU's legal mechanism for withdrawal, insisted on Friday that the process can still be reversed. "We can change our minds at any stage of the process," John Kerr said at a London event hosted by the pro-EU Open Britain. "Actually, the country still has a free choice about whether to proceed. As new facts emerge, people are entitled to take a different view. "And there's nothing in Article 50 to stop them." May dismissed the claims, writing "it will be there in black and white on the front page of this historic piece of legislation: the United Kingdom will be leaving the EU on March 29, 2019 at 11pm GMT." This week's talks feature a stripped-down two-day schedule instead of the normal four days, with EU negotiator Barnier and his British counterpart David Davis set to meet only on Friday morning before holding a press conference, sources said.